This numerical tour show several models for signal and image noise. It shows how to estimate the noise level for a Gaussian additive noise on a natural image. 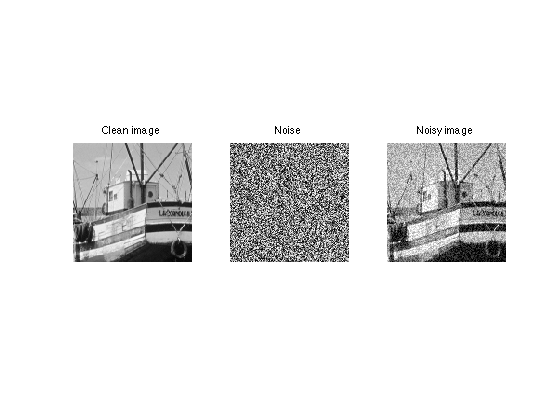 It also shows the relevance of thresholding to remove Gaussian noise contaminating sparse data. 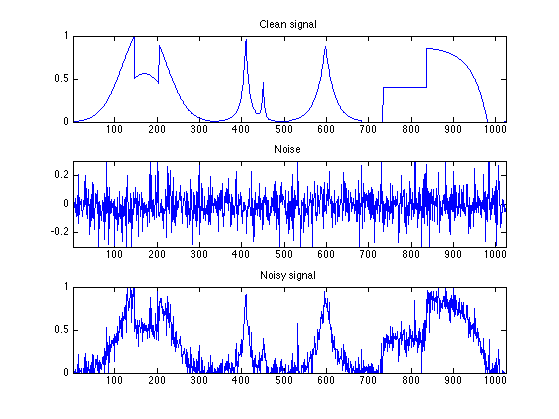 The simplest noise model consist in adding a realization of a zero mean random vector to a clean signal or image. 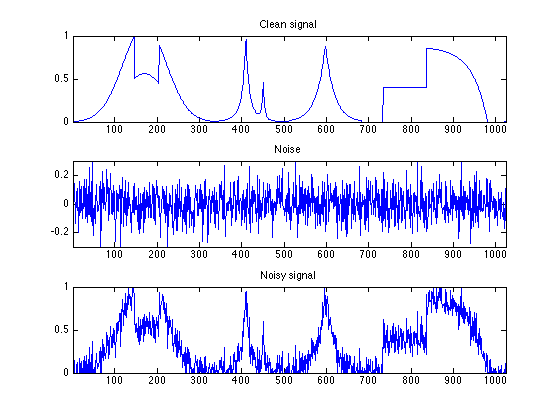 The simplest noise model is Gaussian white noise. 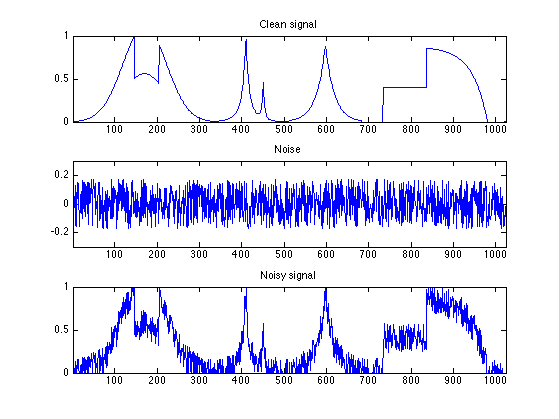 Here we generate a noisy signal or image. A slightly different kind of noise is uniform in a given interval. 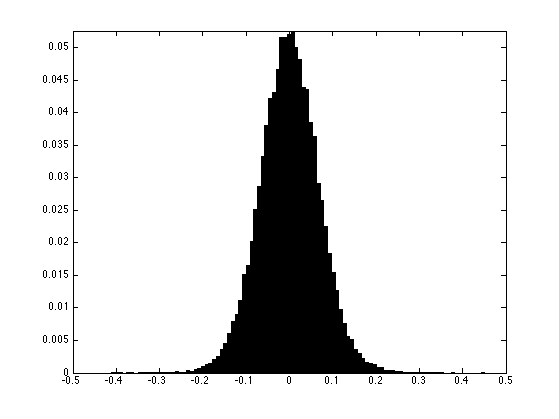 Generate noisy data with uniform noise distribution in [-a,a], with a chosen so that the variance is sigma. A very different noise model consist in sparse impulsions, generate by a random distribution with slowly decaying probability. Generate noisy image with exponential distribution, with variance sigma. 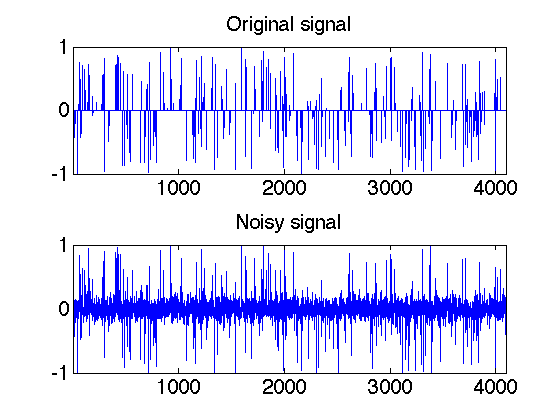 Generate noisy signal with exponential distribution, with variance sigma. 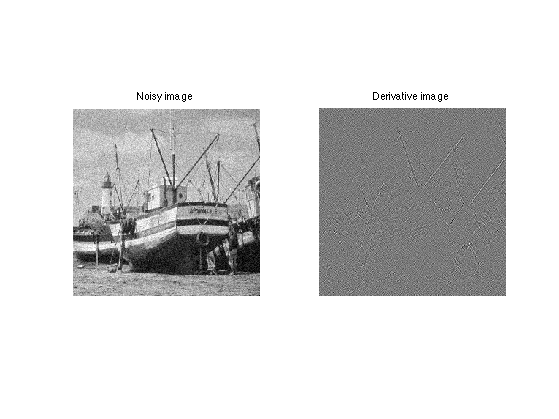 The idea of non-linear denoising is to use an orthogonal basis in which the coefficients x of the signal or image M0 is sparse (a few large coefficients). In this case, the noisy coefficients x of the noisy data M (perturbated with Gaussian noise) are x0+noise where noise is Gaussian. A thresholding set to 0 the noise coefficients that are below T. The threshold level T should be chosen judiciously to be just above the noise level. First we generate a spiky signal. 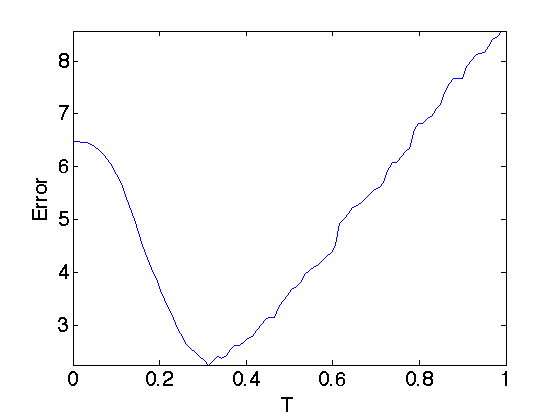 Exercice 1: (check the solution) What is the optimal threshold T to remove as much as possible of noise ? Try several values of T.
In order to be optimal without knowing in advance the amplitude of the coefficients of x0, one needs to set T just above the noise level. 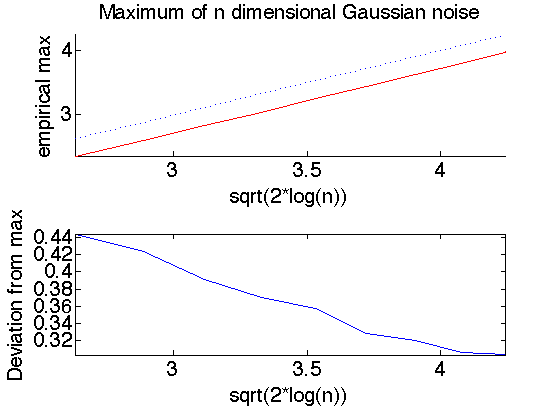 This means that T should be roughly equal to the maximum value of a Gaussian white noise of size n.
Exercice 2: (check the solution) The theory predicts that the maximum of n Gaussian variable of variance sigma^2 is smaller than sqrt(2*log(n)) with large probability (that tends to 1 when n increases). This is also a sharp result. 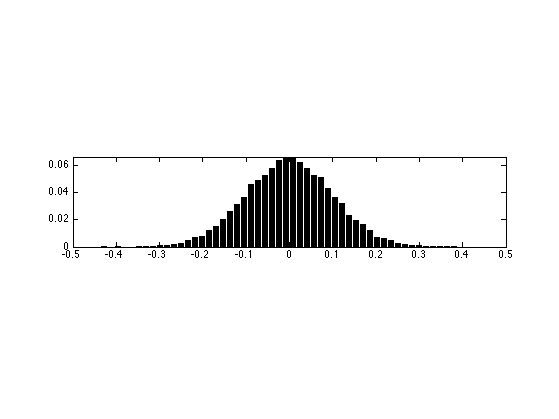 Check this numerically by computing with Monte Carlo sampling the maximum with n increasing (in power of 2). Check also the deviation of the maximum when you perform several trial with n fixed. First we extract the high frequency residual. The mad estimator (median of median) must be rescaled so that it gives the correct variance for gaussian noise.